Stairway indonesian 5 steps made of mahogany. 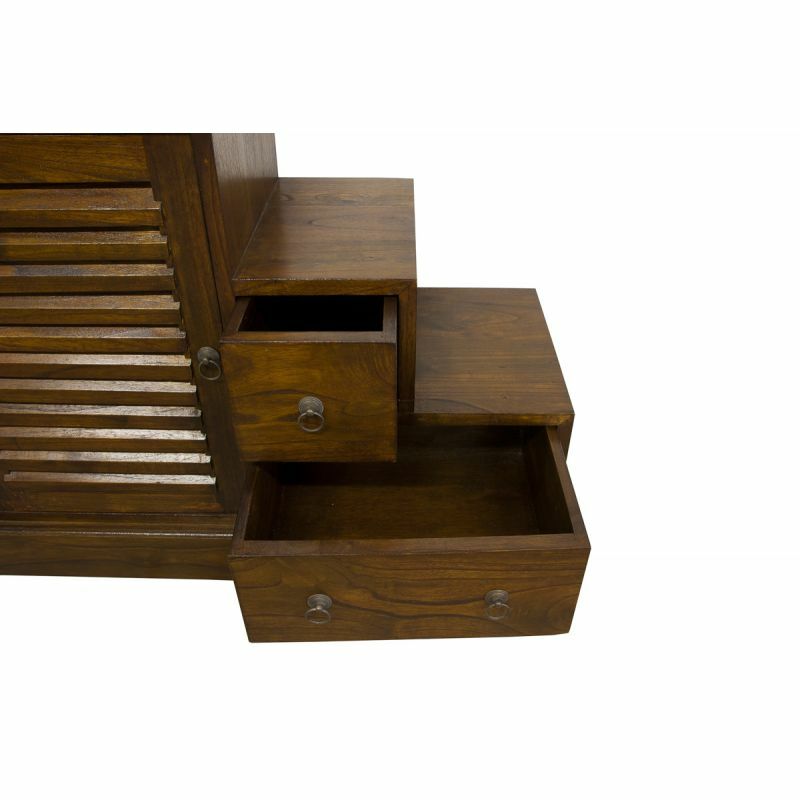 This piece of furniture Asia is reversible - drawers are identical on the 2 facades. You can place either the stair rising to the left or to the right. 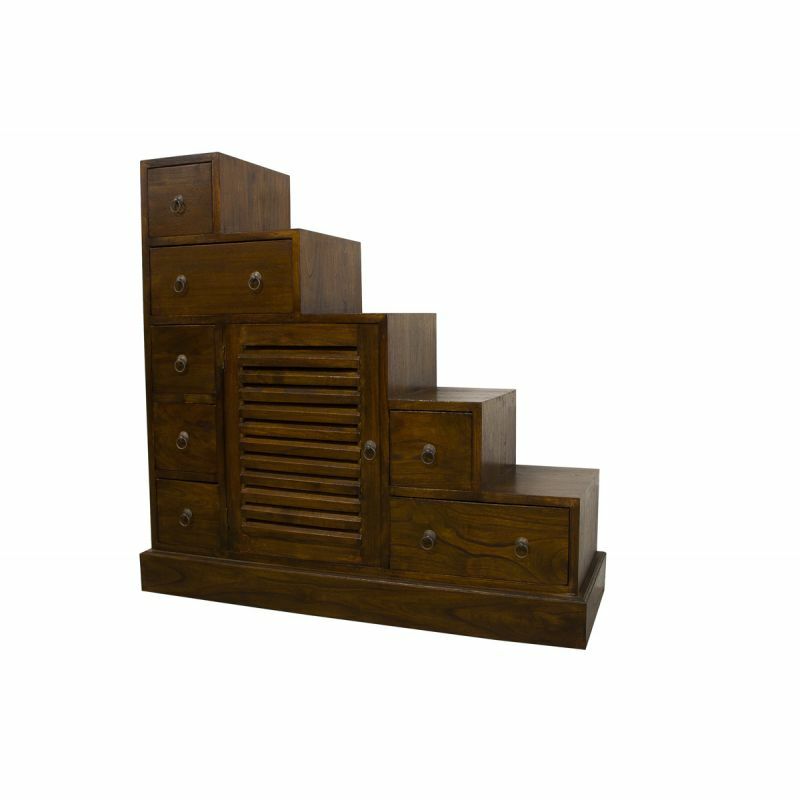 Furniture staircase made entirely of mahogany by master craftsmen joiners. Separation of part and function of the scheduling of your interior, place your furniture stair side top left side or top right, you'll gain harmony, charm and functionality. The assembly method is performed according to the ancestral traditions: tenon-mortise, which is a perfect compromise between aesthetics and resistance. The panels are adjusted without sticking in the amounts to allow the wood to adapt to changes in temperature or humidity.